Since this recipe was originally posted, Killing Thyme has shifted it’s focus to the pesco-vegetarian diet. I’ve decided to keep a few popular meat recipes in my index for your convenience, including this one. The recipe is simple, but it’s all in the execution. Dad claims that there really is no great secret to good tasting Buffalo Chicken Wings. There are very few ingredients. Your biggest decisions are: How hot do I want them? and, How crispy, or not, do I want them? I like my wings hot, but Dad tends to make them on the medium side which is also great. The way to balance it is quite easy: if you want hotter wings, you put more Frank’s. If you want them on the milder side, add more butter. Easy peasy. Carefully heat your deep fryer to 375 degrees F - outdoors. (Obviously you don't have to do this outdoors but I am just one of those people who refuses to use a deep fryer indoors unless you're working in an restaurant kitchen). CHICKEN WINGSWash and cut your wings. You can purchase your wings already cut into pieces (flatties and drummies), or you can buy them whole and cut them into 2 pieces. (You do not use the tips. Freeze them in a container for the next time you are making a soup broth.) You also want to buy good-sized wings. You don't want them to be too small, or they will dry out quickly throughout the deep frying process and that is a recipe for sadness, not Buffalo Wings. WING SAUCEMix the Frank's hot sauce, butter, vinegar, and Worcestershire sauce in a saucepan on low heat. Do not boil. Keep it on low heat until you are ready to toss the wings and make sure to stir often. When making about 30 wings using these amounts, the wings would be considered medium heat. 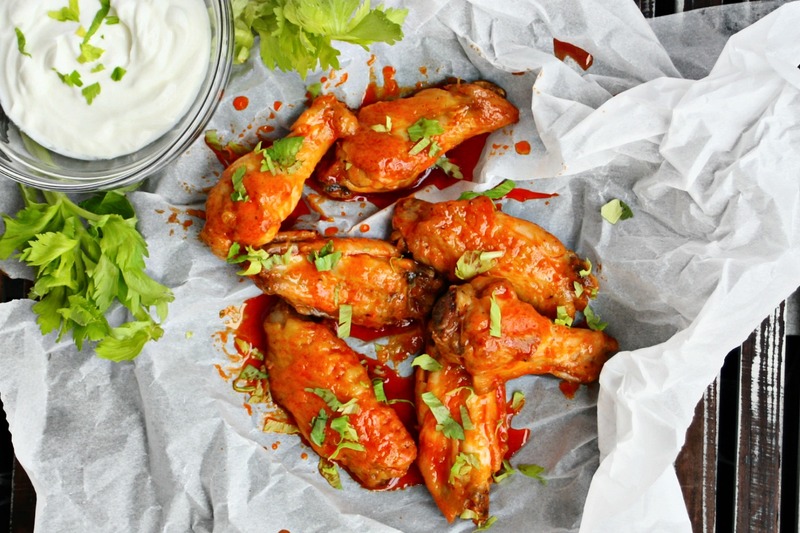 Adjust your amounts accordingly if you are cooking more wings, or if you want them to be HOTTER! DEEP FRYINGPlace wings in the fryer basket (don't overfill the basket - you may have to cook them in batches). Carefully put the basket in the fryer and cover. Fry the batch for 10-12 minutes, depending on the size of the wings. SERVINGPlace the wings in a large bowl (one with a lid). Pour your heated sauce over the wings as evenly as you can. Cover the bowl, shake, and swirl to ensure even coverage. If you are cooking the wings in batches, it helps to have a grill or oven nearby heated to a low temp. That way you can keep your cooked batches covered and in a warm place until all of the wings are ready.